Seems this day is a wonderful day. Today a local store mailed me that one of my pre order has finally arrived in their store. It's Figma. It's K-ON! Oh, and it's Tsumugi! 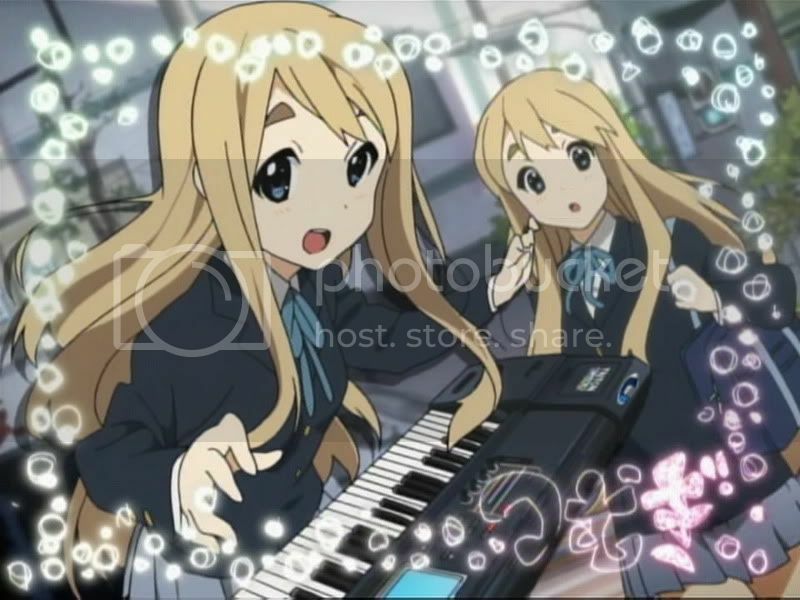 Kotobuki Tsumugi in the first opening episode of K-ON! Yeah, I have been waiting long for this figure, and it's finally arrived. She is one of the characters that I like the most. She is charming, pretty, feminine and sometimes her act are funny. Hope tommorrow I have some extra time available to do her review. I'll have my brother in law's help to do the setup.